Rich and creamy peanut butter is swirled with strawberry jam, old-fashioned oats and honey roasted peanuts for a deliciously healthy, crunchy snack! Peanut Butter and Jelly Granola. Now that the holiday’s are over, it’s time to get back into the swing of things with work, school and afternoon activities. Since we always have a full schedule, I keep an eye out for quick, easy and healthy recipes that I can send to school and serve at home. Something with a flavor that everyone will enjoy – like peanut butter and jelly. Peanut butter and jelly have long been a favorite around here whether it’s for lunch or an afternoon snack. My stepson is always asking me to send him with a peanut better and jelly sandwich. But eating the same thing day after day can get boring. So I decided to take things step further and see what other recipes I could make with peanut butter and jelly. And that’s when it hit me. Peanut butter, jelly and granola! Over the last several months, I’ve been on a homemade granola kick. It doesn’t get any easier – or healthier – than tossing a few ingredients into a bowl, mixing them together and then throwing them in the oven for about 15 minutes. Plus, granola’s a very versatile food. You can eat it by itself, add it to a bowl of milk, and even pair it with your favorite yogurt! 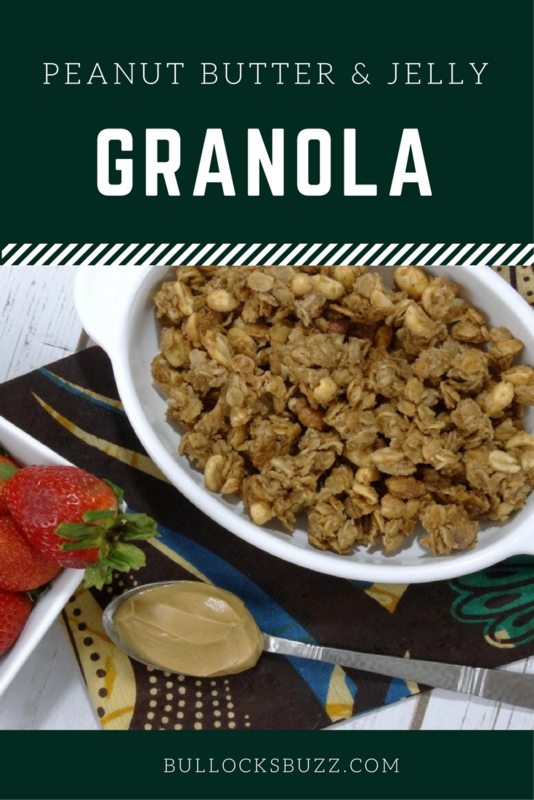 This particular granola recipe combines old-fashioned oats, honey roasted peanuts and everyone’s favorite flavors – peanut butter and jelly! 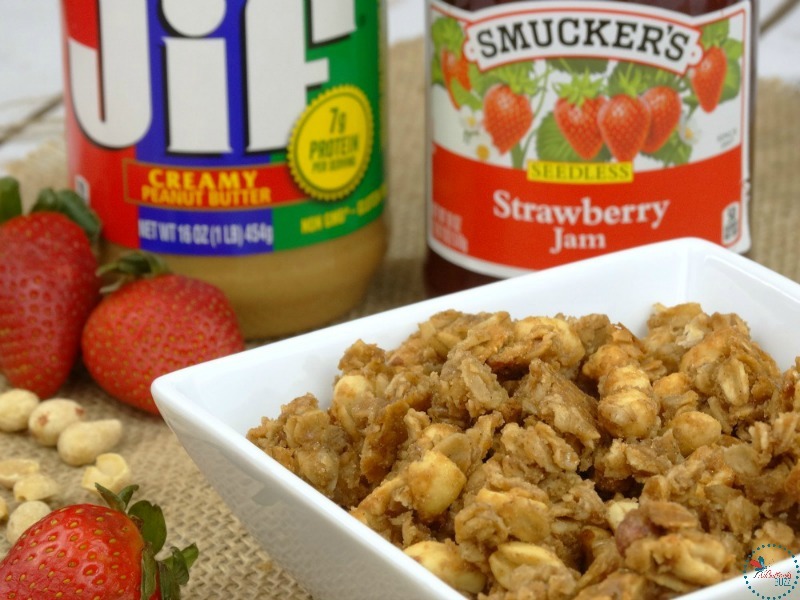 To make this Peanut Butter and Jelly Granola, I used Smucker’s Strawberry Jam along with Jif Creamy Peanut Butter. But you can use pretty much any flavor jelly or jam, and throw in whatever extras you want. Raisins, dried strawberries, cranberries, pecans..the sky’s the limit! I think next time I am going to try it with blackberry jam. 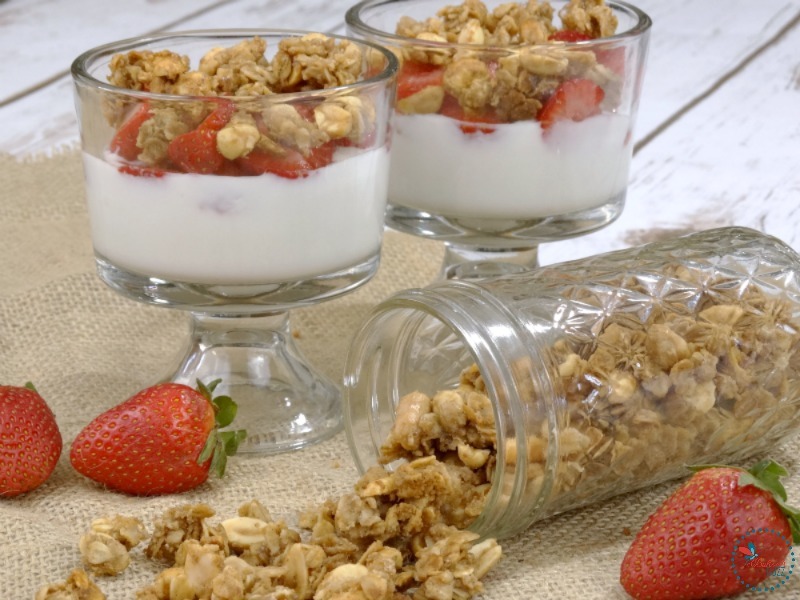 Just be sure to try pairing this PB&J granola with some creamy vanilla yogurt and fresh fruit for a perfectly delicious and healthy snack! 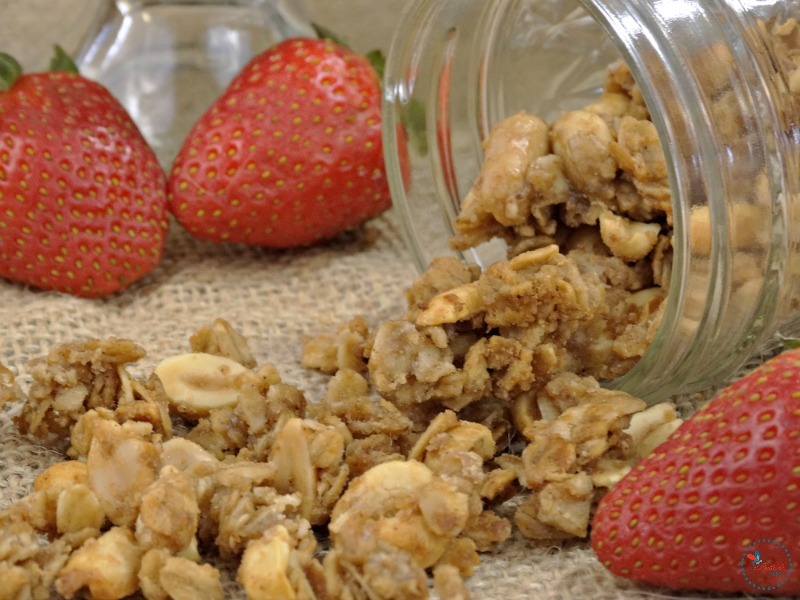 Here is a video on how to make this delectable Peanut Butter and Jelly Granola!  And there is a printable recipe at the bottom of this post, too. Save on Smucker’s and Jif! 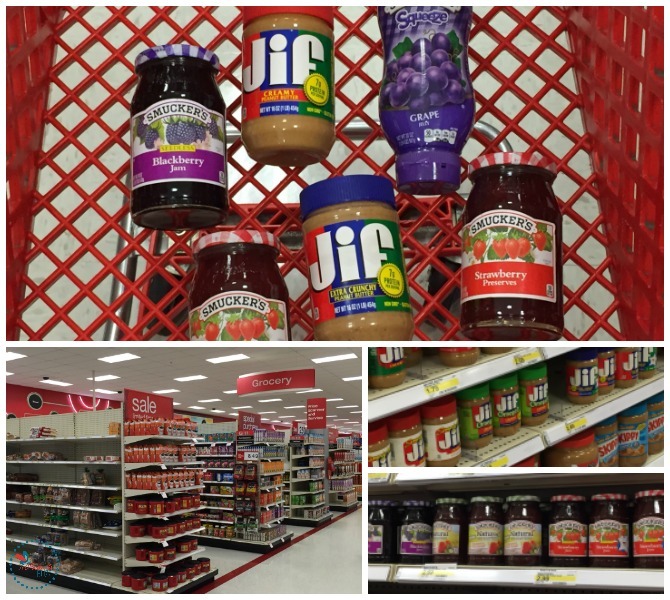 You can save 5% on both Smucker’s Fruit Spreads and Jif Peanut Butter by shopping at Target and using their Cartwheel app! It’s really easy to use, and you’d be surprised at how much you can save! Instead of searching for items in the app, I find it easiest to scan each item as I add it to my cart – that way I am sure not miss any potential savings! Do you have a favorite peanut butter and jelly recipe? Rich and creamy peanut butter is swirled with strawberry jam, old fashioned oats and honey roasted peanuts for a deliciously healthy, crunchy snack! In a large mixing bowl combine the peanut butter, jam, honey, vanilla and cinnamon. Add oats and peanuts, stirring until completely combined. Remove from oven, stir, and allow to cool completely. The mixture may seem soft when you first remove it from the oven, but it firms up as it cools. For a gluten-free granola, use gluten free oats. Add in whatever mix-ins you prefer.